The Australian National Audit Office (ANAO) has recently released a report into the Australian Defence acquisition of light protected vehicles that includes the very successful Bendigo built Bushmaster and now Hawkei Protected Mobility Vehicles. The objective of this Audit was to assess the effectiveness and value for money of Australian Defence acquisition of vehicles under the Defence Land 121 Phase 4 program. Sadly, it appears there are two important columns missing from the ANAO spreadsheet. The first would have been headed ‘the importance of saving human life’. The second would read ‘the strategic importance of developing and maintaining an Australian Defence Manufacturing Capability’. If Australian Governments insist on putting our young service men & women in harm’s way in various conflicts around the globe then we as a Nation have a moral responsibility to make them as safe as we possibly can. It’s a great pity the ANAO report ignores this simple proposition. There was considerable opposition to the initial Bushmaster program from sections of the Defence Materiel Organisation, the ANAO, and opposition from some components of the Australian Army. The Bendigo built Thales Bushmaster vehicle now has an outstanding record of protecting our Military personal in conflicts in East Timor, Iraq and Afghanistan. In fact not one fatality has occurred in any combat incident involving Bushmasters anywhere in the world. Bushmaster is now regarded as the world leader in its class. We can only imagine the horror that would have occurred if the Bushmaster vehicle had been rejected and our Troops serving in East Timor, Iraq and Afghanistan saddled with vastly inferior ‘off the shelf’ protected vehicles like the Humvee. The ANAO report suggests that in 2016 the Australian Government should not have spent $222 million on up-grades and lifesaving modifications on new Bushmaster vehicles being built at Thales Bendigo. This also included modifying Bushmasters already in service in Afghanistan. The $222 million allocation was actually announced in Bendigo by then Defence Minister Steve Smith on July 2, 2012. 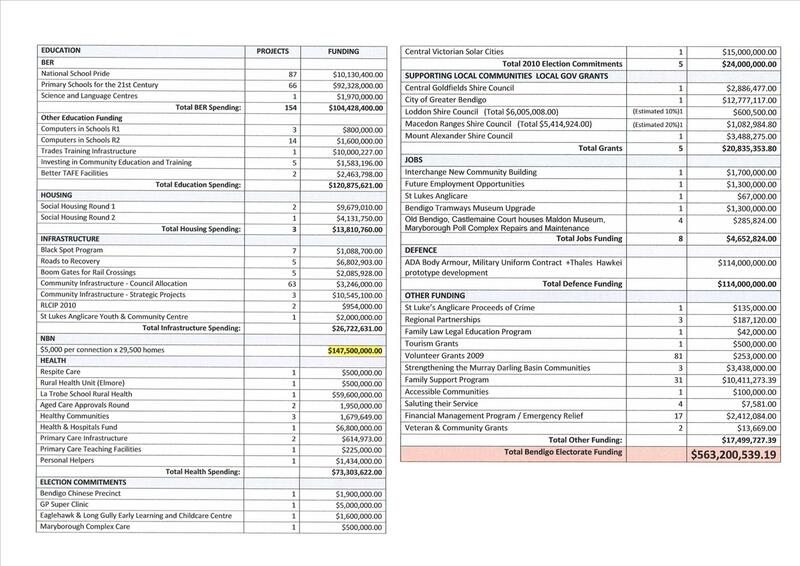 The Audit report was critical of the Australian Government’s participation in the Hawkei PMVL program claiming it was more expensive than the US equivalent, apparently referring to the US Joint Light Tactical Vehicle program. This US contract was eventually won by the Oshkosh L-ATV vehicle after extensive cancelations and delays. The Oshkosh vehicle is yet to go into full production and in fact is still undergoing a major reliability assessment program via the limited production phase of that project. The Thales Hawkei PMVL is currently experiencing the same extensive test program. This is standard procedure for defence vehicles and equipment, especially equipment that is used by Defence personal who often put their lives on the line. The ANAO report states there have been reliability issues with the Hawkei vehicle. They should know that any new vehicle designed from the ground up whether it be the family station wagon or a highly sophisticated Hi Tech Military vehicle experience reliability issues during the various test and appraisal process. That is precisely why they are subject to these appraisal processes. It beggars belief that the ANAO would claim the Hawkei is 23 per cent more expensive than the Oshkosh vehicle when that vehicle is still being assessed and tested and is yet to reach full production that would include a final purchase price. It’s interesting to note the full production date for the US JLTV was originally scheduled for 2012. In fact the US JLTV program at one stage was under serious consideration of being cancelled completely. The ANAO report also states the Hawkei vehicle was the least developed option yet after a lengthy and vigorous test and evaluation process it won the final selection (called a Down Select) over two overseas vehicles; the British Force Protection vehicle ‘the Ocelot’ and a vehicle produced by US General Dynamics (‘the Mowag Eagle’. These Companies, along with Thales, had agreed to a then Australian Government requirement to manufacture vehicles in Australia should they become the successful bidder. Thales received Government funding for an extensive and gruelling test, development and appraisal process that continues today under the limited production phase of the project, all designed to ensure our Service Men & Women are always provided with the best, safest and most reliable equipment available from anywhere in the world. It’s nothing short of bewildering that the ANAO, Defence Personal from Defence Procurement and sections of the Australian Army are still vigorously opposed to maintaining an Australian Defence Manufacturing Capability. Thales have a proven Track record of designing and building world class Armoured vehicles that have saved lives. After all ANAO and other opposition not withstanding our defence men and women deserve nothing less. Coalition Governments’ are obsessed with dismantling penalty rates. The impact on our economy today would be no different than when Howard announced his workplace reforms in 2001. Howard’s Workplace Reforms – Bad for Business! Central Victoria’s economy would be gutted if the Howard Government’s attack on workers’ penalty rates became law, according to the Federal MP for Bendigo, Steve Gibbons. Mr Gibbons said the so-called Workplace Relations reforms proposed by the Howard Government could see the abolition of workers’ penalty rates totalling more than $80 million in Central Victoria alone. “We stand to lose the economic equivalent of between 2100 and 3400 jobs – every year – through this attack on workers’ pay packets,” he said. Mr Gibbon’s commissioned research using LaTrobe University’s pioneering “REMPLAN” economic modelling software that illustrated a dramatic reduction in disposable income injected into Central Victoria’s economy if the Howard Governments abolition of penalty rates became law. He said Prime Minister Howard and several Ministers had constantly refused to rule out the likelihood of penalty rates disappearing altogether under the Governments proposed changes to Australia’s Workplace Relations system. “REMPLAN statistics show a massive $84.3 million reduction in direct disposable income each year across all our Industry sectors throughout the Central Victorian economy and when you factor in the flow on effects the figure jumps to a whopping $136 million”, Mr Gibbons said. “Think about that! Assuming the workers of our region get the Median Weekly family wage, this is equivalent to losing more than 2100 jobs, based on the direct loss of disposable income, or an even more heart-wrenching 3400 jobs based on the flow-on losses”. “It’s nice for the Prime Minister to sit in Canberra and talk in waffly bureaucratic terms about his policies, but right here in the real world, this is what the impact will be,” Mr Gibbons said. “It means a huge reduction in wages being spent in the local economy and small business in the Hospitality, Tourism and Retail sectors would be hit the hardest”. “And the figures do not include the abolition of overtime which is also under threat from the Howard Government’s proposals”. “Wage earners who have a penalty rate component as part of their annual income are already among the lowest paid workers throughout Australia and usually spend their entire pay packet each pay period on necessities”. “Small business might gain a reduction in their wages bill if penalty rates are abolished but those gains would soon disappear through a substantial reduction in cash flow into their businesses”. “In fact, the impact in our community will be even worse, because here our average wage is lower than most of the rest of Australia. Some observations: The Independent Member for Lyne. Having been a back bench member in the Federal Parliamentary Labor Party (FPLP) caucus during the time spanning most of this work and therefore something of a small bit player, I do feel qualified to make some comment and observations. I found the memoirs interesting, accurate (so far as I could tell) and particularly informative in that it shines a light on the ongoing machinations during that time. It fills most of the gaps with information that we as back bench members of the Government party were denied because of the confines of the way the Labor caucus operates. Sections of the FPLP caucus has always had a nasty habit of leaking information to selected media often before the leader had even left the caucus room so it’s no surprise members were treated like mushrooms. Whilst not always complementary to Labor The Independent Member for Lyne illustrates in fine detail the intense struggle that a reforming Government had to endure to get its considerable legislative agenda implemented. In my view what can only be described as an outstanding record of achievement came despite the most obstructionists, vicious and deceitful Opposition in our Nation’s history. Rob Oakshott’s book is an important record not only of our Parliamentary history but of our Nation’s history during a turbulent period. 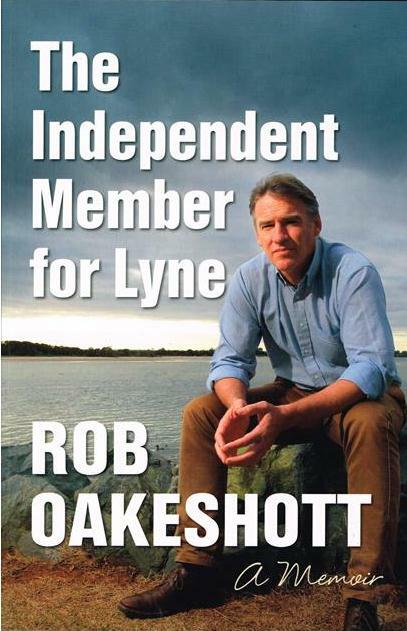 Whilst we were Parliamentary colleagues, I never had the opportunity to work closely with Rob Oakshott and could only note (until these memoirs were released) his considerable contribution as a crossbencher from my own backbench position. The crossbenchers all played a role in the functioning of the forty-third Parliament. Rob Oakshott and Tony Windsor in particular, while not always on board with the Labor Government, exhibited the capacity to work very hard and supported some if not all of the defining issues and successes of the Gillard Government in the forty-third Parliament. This support came often at the expense of their standing in their respective communities. Our Nation owes them a great deal and I regard both as people of impeccable integrity. The Independent Member for Lyne should be compulsory reading for students, political junkies and all those that take an active interest in our National affairs. This is a Budget built on a trifecta of trickery to justify smashing large holes in the social safety net that the Government promised it wouldn’t do for three years prior to the election. The first trick is that to justify its savagery it has claimed that Australia faces an economic crisis. A claim that is laughable in an economy that has grown 16 per cent since the end of 2007 and, come the release of the March Quarter National Accounts tomorrow, will most likely have grown at trend over the last six months, making our economy more than 16 per cent larger than it was at the end of 2007. That doesn’t sound like an economic emergency: 16 per cent growth over seven and a half years despite the great recession. A performance not matched by any other developed economy. The second trick is to falsely claim that spending in Australia has been and will be in the future massively out of control. If you accept the Abbott Government’s pessimistic economic forecasts, Government spending will average 24.9 per cent of GDP over the four years to 2017-18. In the last three years of the Labor Government, spending averaged 24.6 per cent of GDP. So, the Abbott Government is planning to spend more than the average of the last three years of the Labor Government in every year of the forward estimates. And this is despite the savage cuts which are clearly only making way for their questionable new and additional spending on things like the Paid Parental Leave Scheme. The third trick is to irresponsibly claim that debt levels are large, unsustainable and rapidly deteriorating through this decade. This claim is damaging our standing in international financial markets. It is completely inconsistent with our AAA credit rating and is not backed up by any analysis from financial institutions or credible private sector forecasts. In fact, net debt over the forward estimates in this budget is higher than any year forecast in the Pre-Election Fiscal Outlook, which was prepared independently by Treasury and the Department of Finance. This trifecta of trickery is used to back up its claim that its decisions are fair and that the pain, given the size of the problem, is unavoidable. How can the Government claim an economic emergency given these facts? Although I would note that the Prime Minister partly walked away from this in the house last Monday week when he said ‘our economy is strong but the Budget is weak,’ whatever that means in his Tea Party universe. To justify its position, the Government loves to claim IMF endorsement for these assertions, something I believe they do not have. The IMF has repeatedly made the point that the Australian economy has performed well over recent years and our public finances are in good shape. The purpose of their lie about a supportive IMF is to try to use international institutions to discredit the actions our Labor Government took during the Global Financial Crisis to incur modest levels of debt, which in turn, saved Australia from recession. Actions which then were and still now are strongly supported by the IMF and the OECD and the G20. What Abbott is really up to is trying to set the scene for a dramatic shrinkage of government in Australia. To do that he wants to delegitimise the role that our Labor Government played in using stimulus to save Australia from recession. Listen to them in the House any day as they demonise the debt we incurred during this period as being the consequence of wasteful spending. It was mostly the consequence of a rapid decline in revenues, which are only now coming back to more normal levels. Had we not borrowed during that period to make up for the revenue shortfall Australia would have experienced much higher levels of unemployment and small business destruction, themselves leading to higher levels of deficit and debt. But in the post-fact world of the Abbott Government, a Global Financial Crisis didn’t really impact on Australia and if there was one it was caused by governments not by rapacious and out of control international financial markets. The Davos audience cringed with embarrassment when the Prime Minister made this claim in January this year. Over the last couple of months the Treasurer, the Prime Minister and other Ministers have been purporting to use IMF data to back up the last two claims in their trifecta of tricks, namely out of control spending and out of control debt. The task of holding the Government accountable for its outrageous exaggerations is made much more difficult by the chaotic presentation of this year’s budget papers which appear to have been stuck together at the last minute with a bit of clag glue. Supporting analysis of economic trends and budget impacts evident in previous budget papers is entirely missing and the outcome is a budget paper about half the length of a normal budget paper presented in recent years. Nevertheless spending in this budget from the Abbott Government will be more than the average of the last three years of the Labor Government in every year of its forward estimates. What doesn’t stand out in the Budget Papers clearly is that for a budget supposedly intent on paying down debt, barely any of the short-term saves in the budget have gone towards paying down debt at all. Instead these new savings have been used to plug the $28 billion dollar revenue hole left by the abolition of the mining tax, carbon price and the removal of measures to stop multi-national profit shifting, and a whole bunch of other kick-backs to the top end of town. They have also used some of these savings to fund new Coalition election promises. So the Budget fails to put its money where its mouth is and pay down any significant amount of debt. Deficits are not significantly different than they were in the Pre-Election Fiscal Statement when we left office. And stunningly net debt has not gone down; it’s gone up from 12.5 per cent in September last year to 14 per cent in September 2017-18. In my view, the real GDP forecasts and nominal GDP forecasts on which Budget outcomes are predicated are in fact government forecasts not Treasury forecasts and are deliberately pessimistic. The nominal GDP forecasts upon which the revenue figures are based are significantly below trend and therefore revenue forecasts are likely to be exceeded in future years. In practical terms what does this mean? The Government has deliberately depressed its revenue forecasts to give itself the headspace to upgrade its revenue forecasts in the years ahead. This gives them the flexibility to come back to surplus earlier and to set the scene to cynically deliver tax cuts to people before the election. So the truth is, the deficits as forecast are modest, their growth forecasts are very conservative and designed to pull a tax rabbit out of the hat in a couple of years’ time. In the face of these outcomes the Government has been desperate to deflect attention by exaggerating future levels of deficit and debt. Their latest trick had been to misuse IMF data on spending, deficit and debt to justify their savage cuts by brazenly using the respectability and credibility that body brings to the public debate. Claim number one is that among IMF advanced countries, Australia had the second-highest real expenditure growth per person between 2005 and 2010. That is not true. Australia is around the middle of the pack. The second claim is that Australia’s rate of fiscal consolidation is only modest when compared to other advanced countries. That is not true. Australia is around the middle of the pack. Between 2012-2018 it’s around 2 per cent of GDP, just marginally above the average for IMF countries. The third claim is that Australia had the highest real increases in forecast real expenditure growth between 2012 and 2018 for IMF advanced economies. That is also not true. Then the clanger of them all, that our debt levels are unsustainable and out of control. Our rate of increase between 2012-2018 is lower than a number of advanced economies and in 2018 Australia’s net debt is forecast to still be amongst the lowest of all advanced economies. In 2018, our gross debt is forecast to be the sixth lowest out of 35 advanced IMF economies. The purpose of this trifecta of trickery and the trash talking of our current and future economic prospects is ideological, to help them wriggle out of their clear commitments of no cuts to education, no cuts to health, no change to pensions, no change to GST and no cuts to ABC or SBS. In addition to its savagery to low income earners, in particular Age Pensioners, a less publicized consequence is the intergenerational warfare I believe is being waged against younger Australians. The cuts to Newstart for under 30s, the deregulation of university fees and higher HECS debts for university students help point to this. But I call it intergenerational warfare because of the impact this Budget will have on these younger Australians for the decades to come. In broader budget policy context, it’s these people who are now under 35 who will be the first to wear the burden of changes like the rise in the pension age to 70, for example. But what’s most troubling of all is that the Government’s megaphone trash talking of the economy is having real consequences at home and abroad. Now I think the Australian economy has a huge future and I hope we extend on the unprecedented 23 years of uninterrupted growth, but the mismanagement by this Government is putting this all at risk. We have already seen the impact on consumer confidence and are starting to see that flow through to house prices and building approvals, both strongly linked to people’s confidence in the future. This comes on top of slowing business investment, which is critical to building long term capacity and growth in our economy. When you combine this with the attack on investment in education, this budget is proving a real risk to our economic future on every front. And most alarmingly was the Treasurer’s incompetent answer in the house last week [even by his standards] about the impact on our economy of our low levels of debt. He claimed we “weren’t living within our means”. What he didn’t say was that Australia’s savings rate was around the OECD average but our investment rate was well above it. So it is our attractiveness as an investment destination that is driving the CAD, not a lack of savings by international standards. He is entirely ignorant that Australia is a prosperous country because we borrow modestly to invest in the future of our nation, and have done so for over 100 years. When he makes silly statements like this he demonstrates to international markets a lack of confidence and competence in the management of our $1.5 trillion economy. 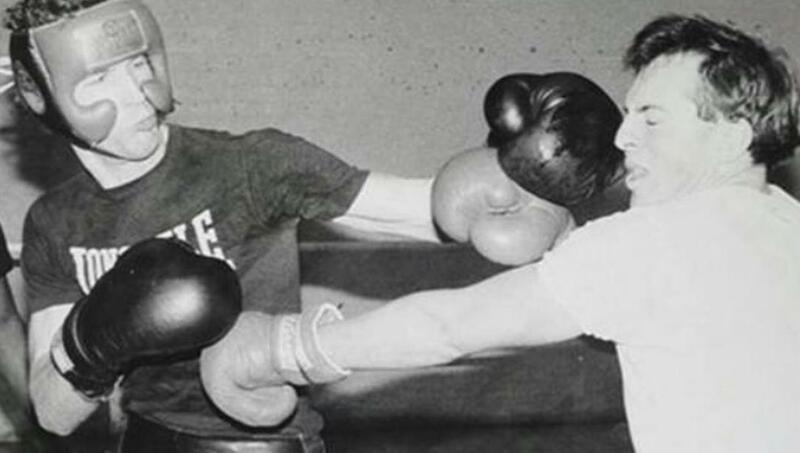 In Labor’s last budget we put in place funding over 10 years for two of the most important social and economic reforms of the post-war era – namely the National Disability Insurance Scheme and the Gonski school improvement reforms. The fear mongering we’ve seen from Tony Abbott and Joe Hockey is designed to pursue a political objective of junking key election commitments as an entrée to dismantling the Australian model, one which is built on fairness. Good Budget policy is the foundation of a strong economy. And a credible pathway to surplus is an essential ingredient to achieving all of our social and economic obligations. The clumsy trickery of this Budget is less about a return to surplus, and more about abolishing key initiatives that they promised to keep in the election campaign. If this dosen’t bring a tear to the eye then you don’t have a heart! The Anzac on the wall. I wandered thru a country town, ‘cos I had some time to spare, And went into an Antique Shop to see what was in there. Old Bikes and Pumps and Kero lamps, but hidden by it all, A photo of a soldier boy … An Anzac on the Wall. ‘The Anzac have a name?’ I asked. The old man answered ‘No’, The ones who could have told you mate, have passed on long ago. The old man kept on talking and, according to his tale, The photo was unwanted junk, bought from a clearance sale. My nameless digger’s photo, well it was a sorry sight A cracked glass pane and a broken frame … I had to make it right To prise the photo from its frame I took care just in case, Cause only sticky paper held the cardboard back in place. The first reveals my Anzac’s name, and regiment of course John Mathew Francis Stuart … of Australia ’s own Light Horse. ‘Dear Mum, I’m at Khalasa Springs, not far from the Red Sea They say it’s in the Bible … looks like a Billabong to me. ‘My Kathy wrote, I’m in her prayers … she’s still my bride to be, I just can’t wait to see you both, you’re all the world to me. And Mum you’ll soon meet Bluey, last month they shipped him out I told him to call on you, when he’s up and about.’ ‘That bluey is a larrikin, and we all thought it funny, He lobbed a Turkish hand grenade into the Co’s dunny. I wonder who rides Billy …!! I heard the pub burnt down!! I’ll always love you … and please say Hooroo, to all in town’. The second letter I could see, was in a lady’s hand, An answer to her soldier son, there in a foreign land. Her copperplate was perfect, the pages neat and clean it bore the date, November 3rd 1917. This letter was unfinished … and I couldn’t work out why. This letter which was never sent, became then one of three. She sealed behind the photo’s face … the face she longed to see. And John’s home town’s children, when he went to war, Would say no greater cattleman, had left the town before. They knew his widowed mother well, and with respect did tell, How when she lost her only boy … she lost her mind as well. Then when she died, Bluey moved on … to Queensland some did say. I tried to find out where he went, but don’t know to this day. And Kathy never wed, a lonely spinster… some found odd. She wouldn’t set foot in a church … she’d turned her back on God. John’s mother left no Will, I learned, on my detective trail. This explains my photo’s journey, of that clearance sale. So I continued digging, cause, I wanted to know more. I found John’s name with thousands, in the records of the war. His last ride proved his courage… a ride you will acclaim The Light Horse Charge at Beersheba of everlasting fame. That last day in October back in 1917, at 4pm our brave boys fell … that sad fact I did glean. That’s when John’s life was sacrificed, the record’s crystal clear. But 4pm in Beersheba is midnight over here …. So as John’s gallant sprit rose, to cross the great divide, Were lightning bolts back home, a signal from the other side? Is that why Billy bolted, and went racing as in pain …? Because he’d never feel his master, on his back again …! Was it coincidental …? Same time … Same day … Same date …! Some proof of numerology … or just a quirk of fate …? Where lightning cracks like 303’s, and ricochets again, Where howling moaning gusts of wind, sound just like dying men Some Mountain cattlemen have sworn, on lonely alpine track, They’ve glimpsed a huge black stallion …with Light Horseman on his back. Yes Sceptics say, it’s swirling clouds, just forming apparitions. Oh No, My friend you can’t dismiss all this as, superstition. The desert of Beersheba … or a windswept Aussie range, John Stuart rides on forever there … I don’t find that at all strange. Now some gaze upon this photo, and they often question me, and I tell them a small white lie, and say he’s family.